“Don’t use your phone while it’s charging,” “don’t leave it plugged in overnight” and “always let it die completely” — these are just a few popular myths about smartphone batteries. When it comes to battery life, there are many little rules for what you can and can’t do with your smartphone. While plenty of real rules exist, there are several rumored ones you can simply ignore. Phone batteries have evolved so much over the years, becoming smarter and easier to manage. Most lithium-ion batteries, used by major retailers like Samsung and Apple, should last between three and five years, if you take proper care of it. 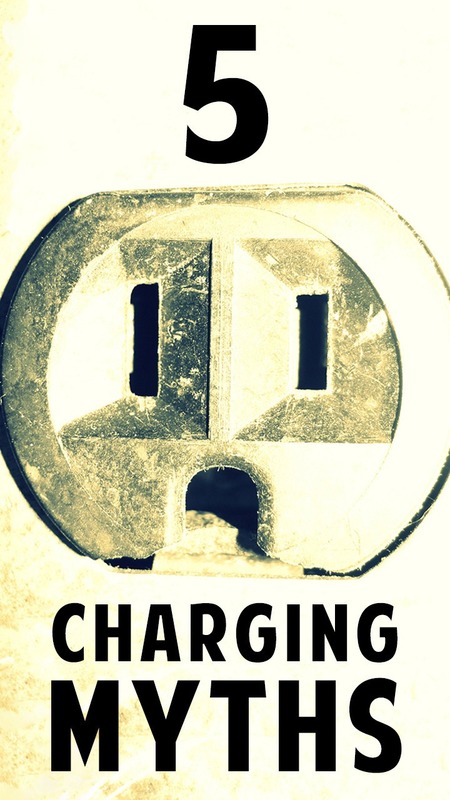 Here’s the truth behind five major phone charging myths. The truth: Off-brand chargers, while not optimal, are fine. It’s knockoffs you should avoid. Don’t go for cheap brand knockoff chargers when you can at least purchase inexpensive, off-brand chargers (as long as they’re made by legitimate retailers, such as Belkin and KMS). The folks at Lifehacker ran a detailed experiment in which they pitted official chargers against knockoffs and off-brand models. Myth 2: You shouldn’t use your phone while it charges. The truth: Use it all you want, as long as you’re not using a sketchy third-party charger. However, reports say it’s because Ailun was using a third-party charger, not an original Apple charger. If you’re using the manufacturer-approved charger and battery, you should be fine. The truth: Your phone is smarter than you think. Once it’s fully juiced up, it knows to stop charging. That means the battery isn’t even in use at all. However, that doesn’t mean you should be charging your phone all night, every night. You wouldn’t fill a cup with water if it was already full, would you? Your battery life will last longer if you keep your phone charged between 40% and 80%. Myth 4: You don’t need to turn your phone off — ever. Myth 5: Don’t charge your phone until it’s completely dead. The truth: It’s better to charge your phone every day than to do a “deep charge” from time to time. Lithium-ion batteries, like the kind used in Samsung and Apple products fare better when they’re charged. If you constantly let them drain to 0%, they become unstable. Your battery has a finite number of charge cycles, and every time it fully dies, that’s another cycle out the window. The truth: This is absolutely true. Heat and tech don’t generally go hand-in-hand, and that’s no different with phone batteries. Lithium-ion batteries heat themselves, and get hotter while they’re being charged. Cold weather can also have a negative impact on a phone’s life, and a cold battery will die faster than usual in low temperatures. Your phone will be safe if you keep it within its recommended temperatures; Apple says 32 degrees Fahrenheit is the lowest recommended temperature for an iPhone’s environment. Samsung, on the other hand, guarantees its phones can function anywhere between -4 and 122 degrees.